Fall Promotion: FREE Tap cons, track bolts, and washered wing-nuts with your order. 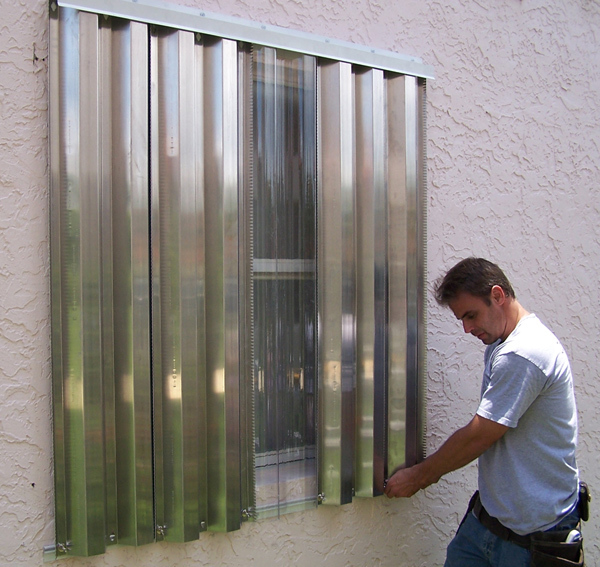 Clear Hurricane Shutters are the newest and fastest growing way to protect your home from hurricane force winds, rain and flying debris. Protect your home and let the light in during a hurricane or tropical storm. We feature clear, durable Protexan Panels. Our panels are the highest-quality clear panels on the market. Our clear storm panels can be left up all season. Our clear panels are perfect for commercial applications, as your business doesn't have to appear closed when a storm threatens. Our Protexan Clear Panels have been approved by the most stringent Miami-Dade and Florida Building Code missile-impact tests. 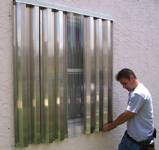 Click Here to Estimate and Order Clear Storm Panels Online. 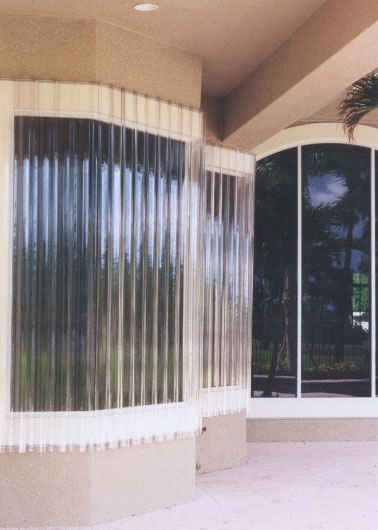 Contact Us Today for a FREE Hurricane Shutter Quote on Protexan Clear Storm Panels!